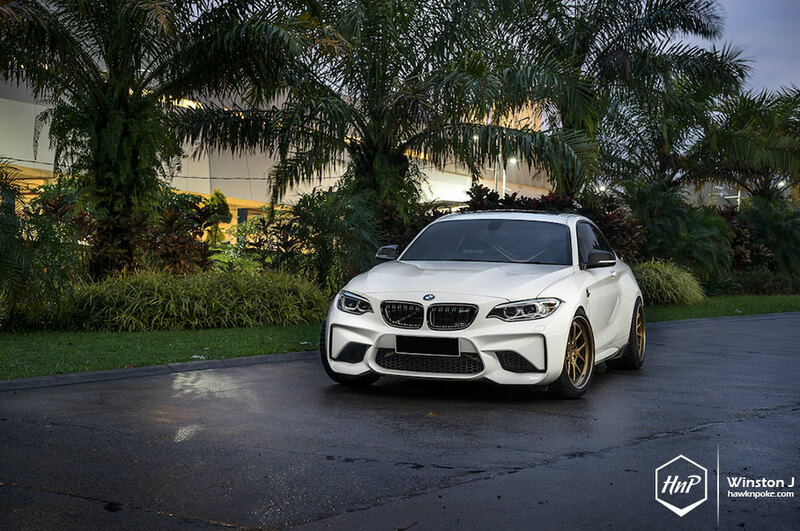 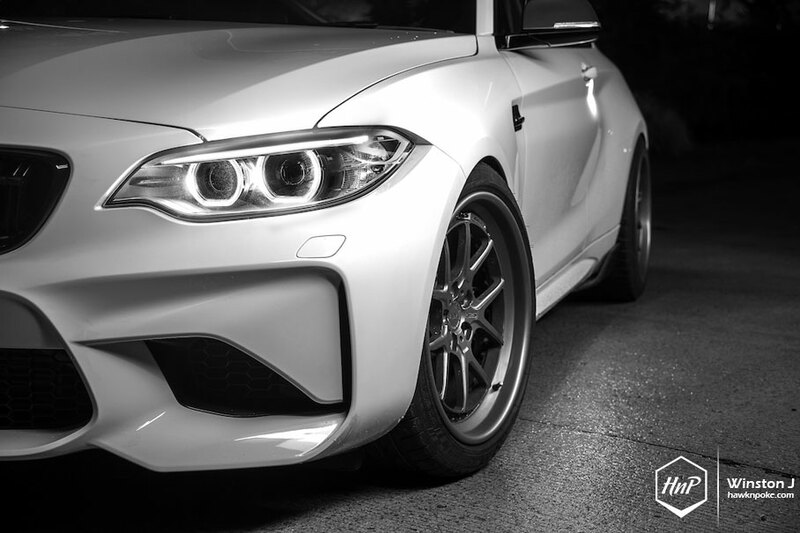 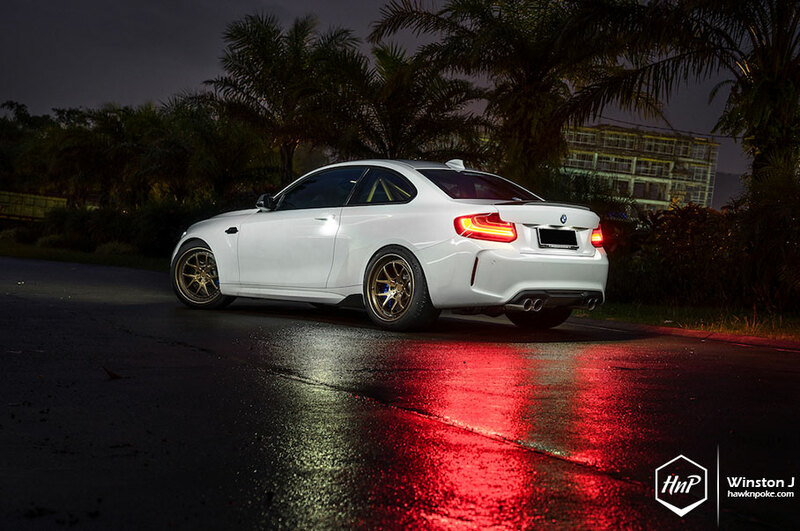 For today, we have quite an appealing build: the latest BMW M2, turned into a track-ready build. 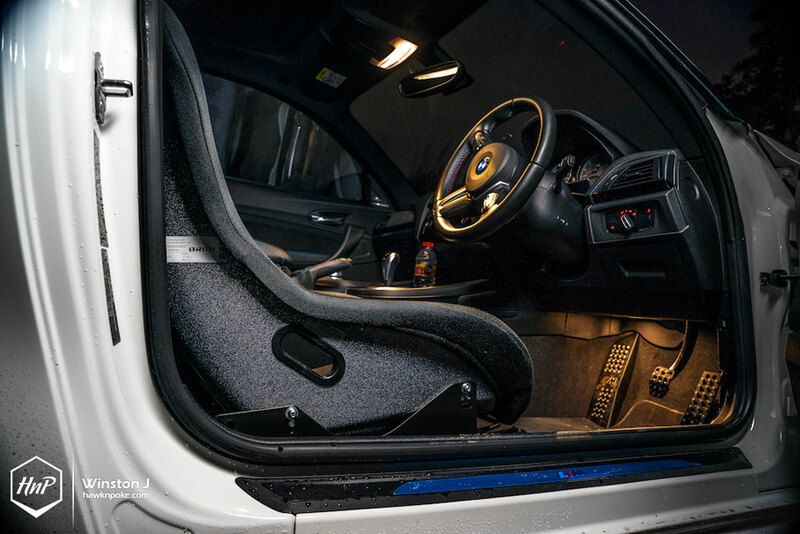 And we really mean it: the rear seat has been removed and in its place, a gold-shade roll bar has been installed, beautifully contrasting the black interior. 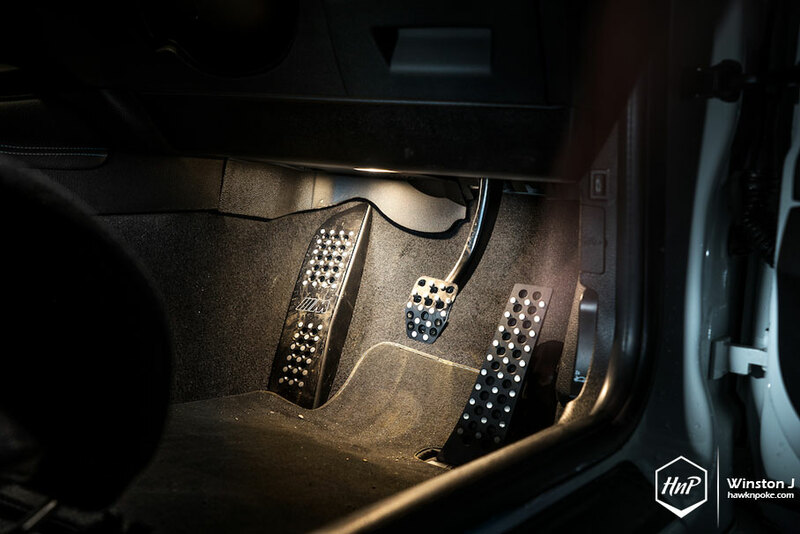 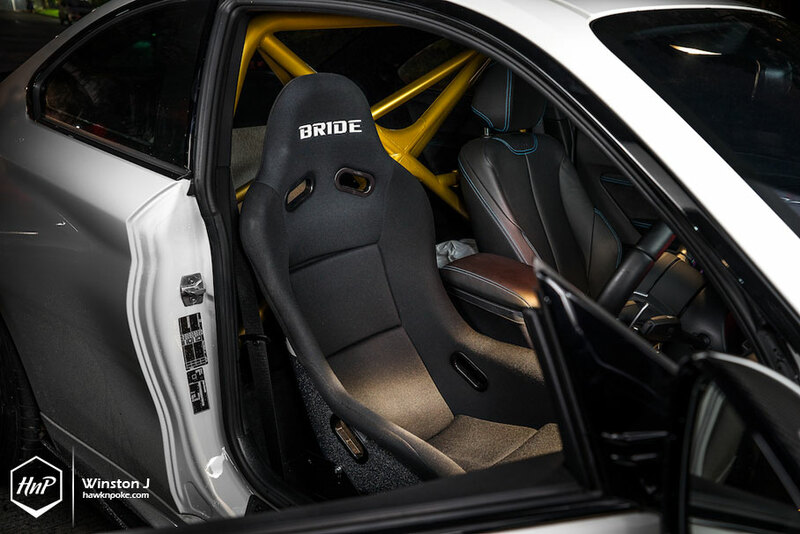 In further pursue of the theme, driver’s seat has also been replaced by Bride bucket seat, providing much needed safety should the owner decides to attack some corners on circuits. 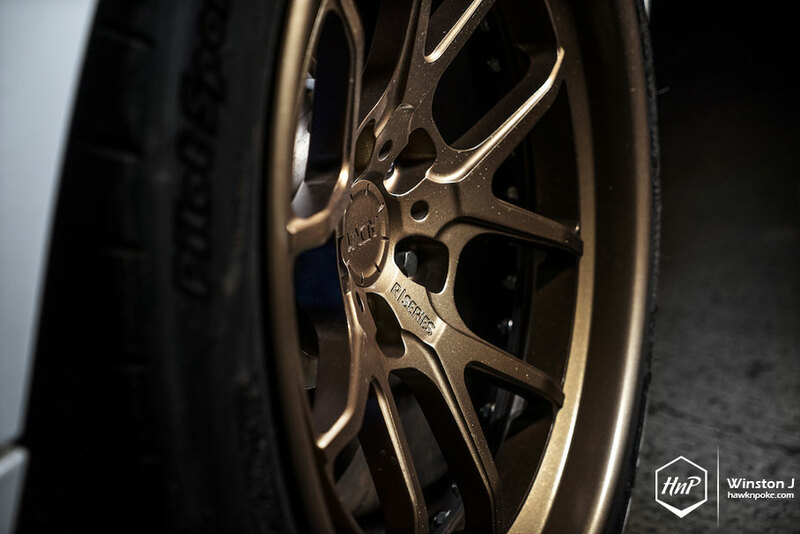 On the outside, we have a set of aggressively-wide ADV.1 wheels, wrapped in Michelin tires to provide some extra grip. 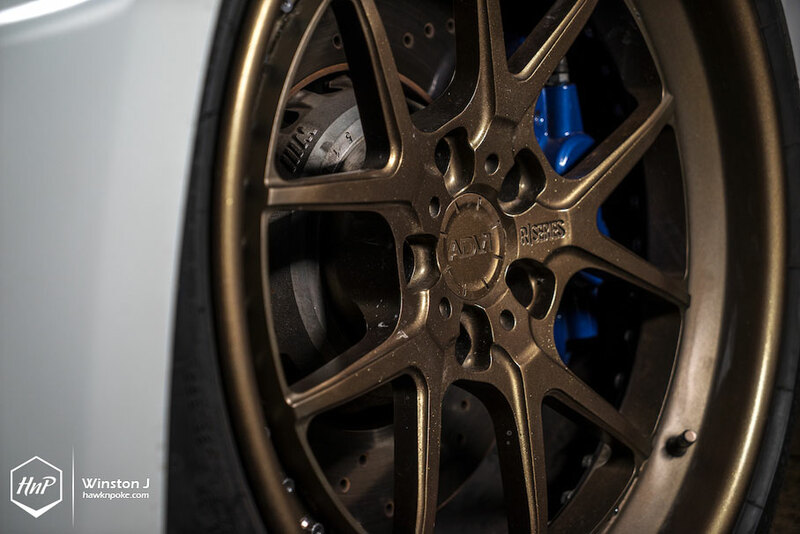 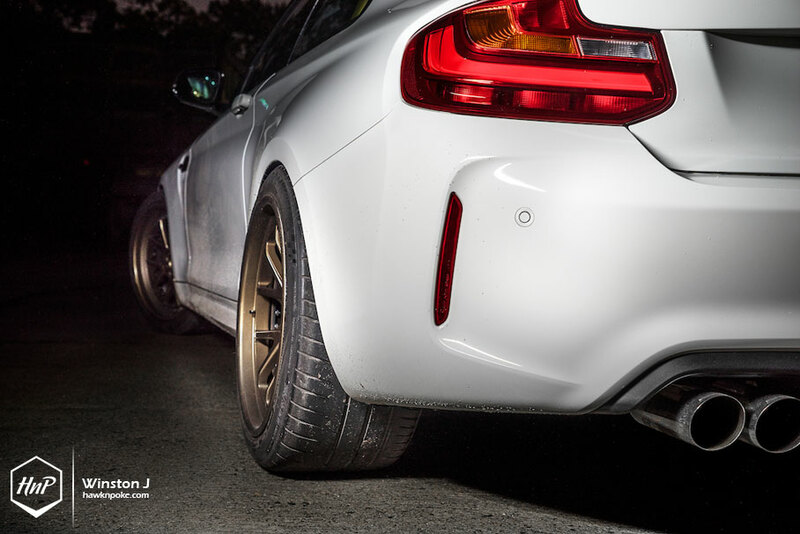 Meanwhile, H&R sport springs improves the car’s handling even more, lowering its center of gravity. 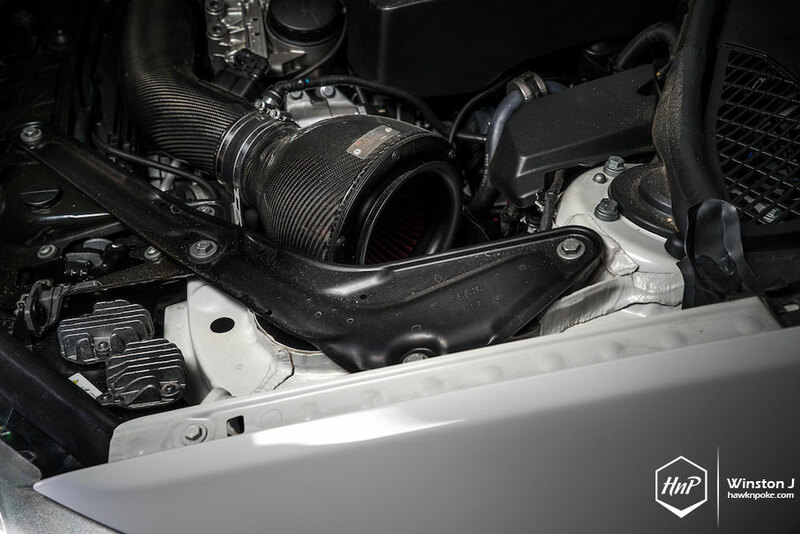 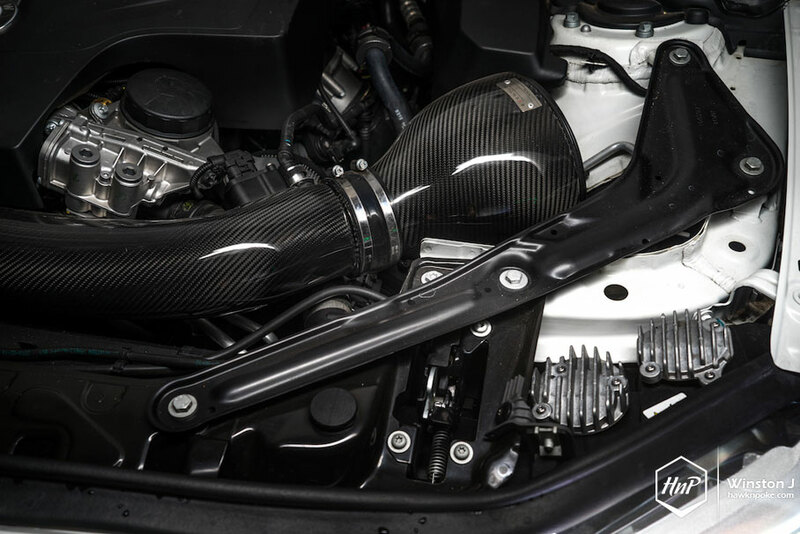 Finishing off the build is a pair of airflow upgrades, in the form of Eventuri intake and Supersprint exhaust system. 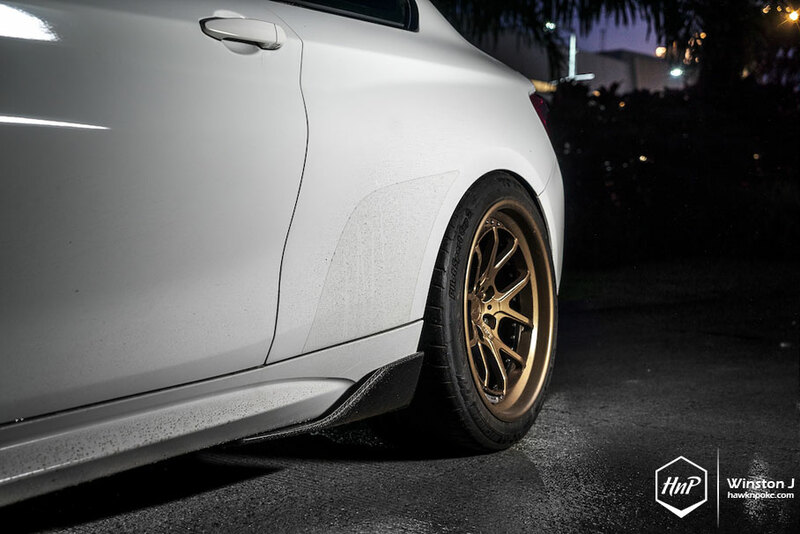 In its entirety, the build looks real clean with the Mineral White body color, while hiding most of its tricks underneath the skin. 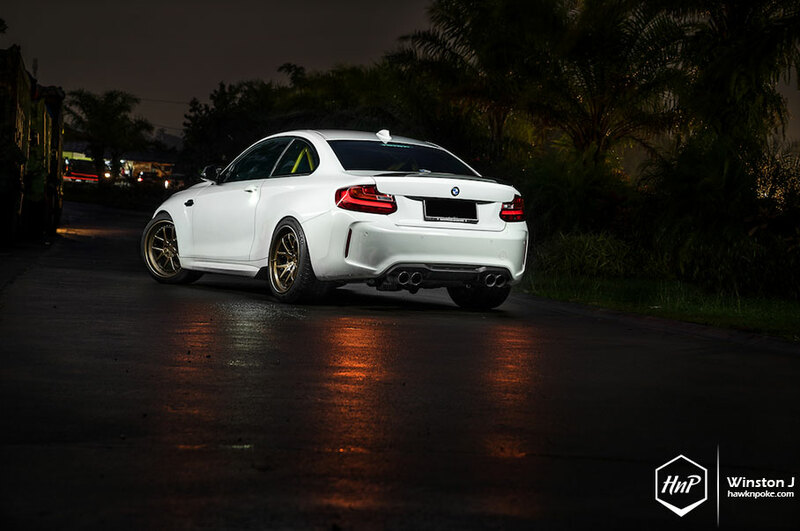 Ever since the M2 was released, it has been viewed as a solid setup in becoming the most agile M money can buy. 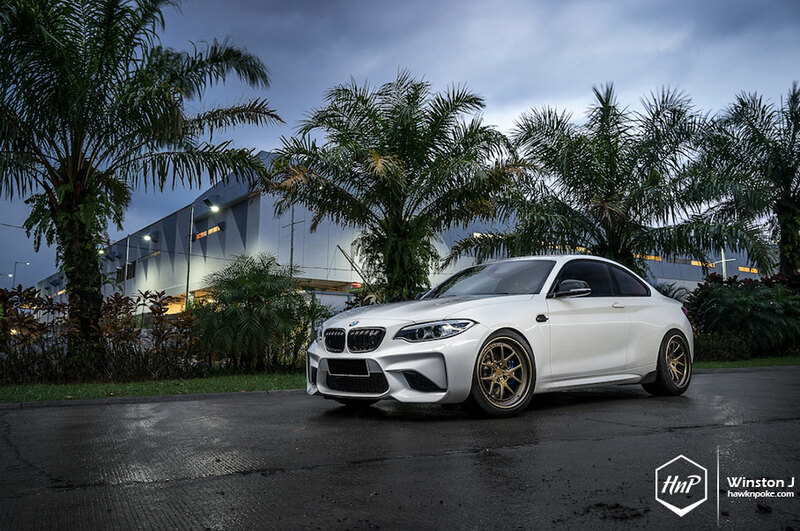 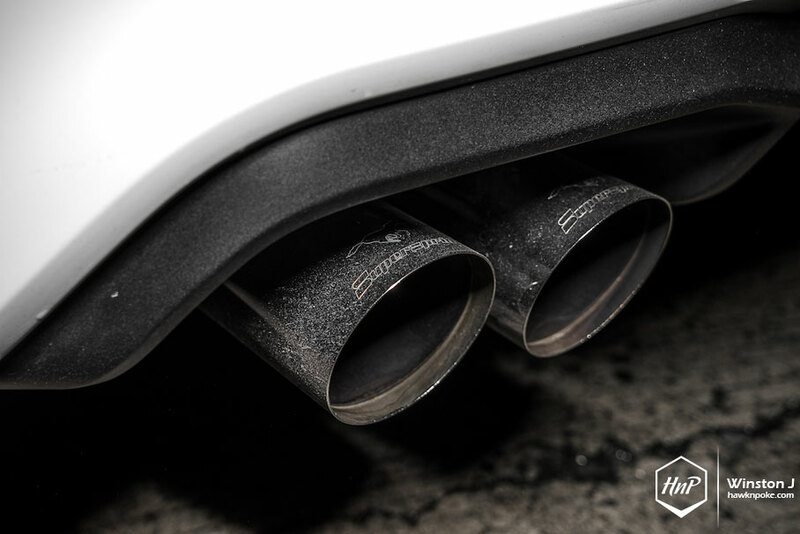 Boasting a 3-liter twin-turbo inline six engine and a smaller body size compared to the M4, it has surely ticked all the right boxes to become one of the greatest M for all twists and turns.